When the world watched as Hurricane Sandy made landfall, everyone’s thoughts were with those living in New York and New Jersey. Everyone was just hoping people could remain safe. The superstorm devastated many locations and tragically had casualties. In the aftermath of the storm, people had to pick up the pieces of the devastation and among the problems of Superstorm Sandy were the issues that many data centers had during the storm. In a world that moves very fast and constant functionality is critical, many data centers experienced extended and very costly periods of downtime. Many data centers did not have proper disaster recovery plans in place. Unfortunately, natural disasters, regardless of your location, are not something you can anticipate fully or predict so the best thing to do is to try to plan for any potential contingency and have a well designed plan that all employees are prepared to implement. Everyone needs to know what the plan is and what their role and responsibility is should a disaster occur. There are some important lessons that we can learn from Hurricane Sandy so that our data centers can be better prepared in the case of an emergency. The important lesson to learn is that building infrastructure and power capabilities are of critical importance. If you are given any amount of time to prepare before a storm or event occurs, checking to make sure backup generators, equipment and structure are fully functioning is very important. By doing this, should any last minute adjustment need to occur, you will have the opportunity to ensure your facility is prepared. If you have the opportunity to design your data center from the ground up, considering natural disasters and major storms should be part of the design process for the infrastructure. Things like location should be considered when trying to avoid things like water damage. 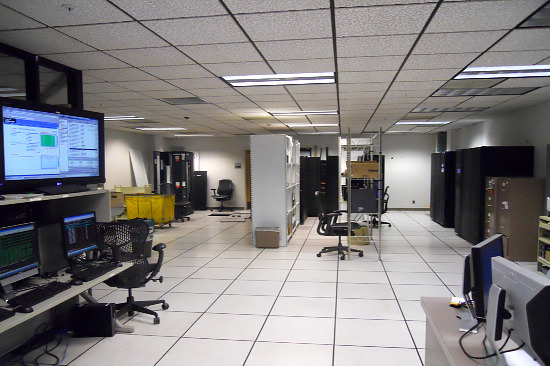 The basement may not be the best location for a data center or any critical electrical or mechanical assets as they could become gravely damaged. Backup generators are incredibly important and should be routinely checked. They could mean the difference between an extended and expensive downtime. Additionally, many data centers found it difficult to obtain fuel for their generators in the wake of the storm. Some other options, diesel or natural gas generators, should be considered as an alternative. Additionally, there are other options to consider when preparing for unexpected events. You may want to consider having an additional location where data is backed up that would theoretically not be affected by the same storm. You may also want to consider implementing the cloud, a much hyped technology. According to Zeus Kerravala of ZK Research, “One of the most understated use cases for the cloud is disaster recovery. The cloud is built for backup and recovery, with geographically disbursed data centers.” These are just a few additional preparedness options to consider. While we cannot predict where or when the next natural disaster like Hurricane Sandy will occur, we can certainly learn lessons from the superstorm for our data centers. By having disaster recovery plans in place that are thorough and prepared for any contingency, we can avoid expensive downtime and keep our business up and running. This entry was posted in Back-up Power Industry, Computer Room Design, Data Center Build, Data Center Design, data center equipment, data center maintenance, Uninterruptible Power Supply, UPS Maintenance and tagged Data Center, Data Center Construction, data center design, data center equipment, data center maintenance, Uninterruptible Power Supply. Bookmark the permalink.